February 26, 2013  On his first foreign trip as Secretary of State, Kerry defended America's tradition of civil liberties. He said our tolerance for the airing of controversial opinions is a virtue. January 29, 2013  The Massachusetts Democrat will succeed Hillary Clinton. His departure from the Senate is likely to spark a fierce battle for his vacant seat. January 4, 2013  The Massachusetts Republican left Congress this week after losing in a contentious race to Democrat Elizabeth Warren. 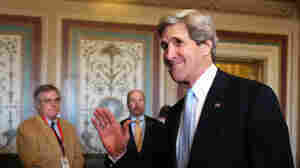 But if John Kerry is confirmed as the next secretary of state, Scott Brown could be back on the campaign trail in weeks. 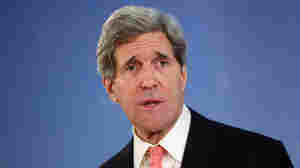 December 21, 2012  Kerry, the 2004 Democratic presidential nominee, is chairman of the Senate Foreign Relations Committee. 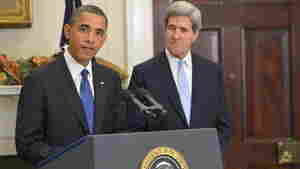 He would succeed Secretary Hillary Clinton, who has said she wants to step down early in the president's second term. December 13, 2012  With U.N. 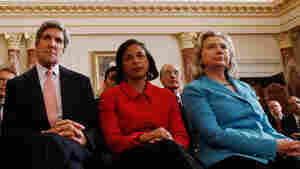 Ambassador Susan Rice withdrawing her name from secretary of state consideration Thursday, attention turned to Sen. John Kerry, D-Mass., as a possible successor to Hillary Clinton. And that would have repercussions on Capitol Hill and in Massachusetts. May 16, 2011  Relations between the U.S. and Pakistan have been more strained than ever since a team of American commandos swept into Abbottabad, Pakistan, two weeks ago and killed al-Qaida leader Osama bin Laden. Pakistan was not told of the raid. May 11, 2011  The al-Qaida leader's death came about 20 minutes into the 40 minutes that U.S. forces were at bin Laden's compound, CBS News reports. Commandos spent considerable time gathering evidence before departing.